Purdue Pharma, the maker of OxyContin announced the settlement of a case brought by Oklahoma for $270 million on Tuesday. Tuesday’s settlement prompted legal scholars to speculate that other defendants in some of the 35 state cases brought against the company might settle, The New York Times reported. Some 1,600 suits have been filed against Purdue Pharma, whose drug OxyContin is at the center of the opioid crisis killing an average of 130 Americans each day. The lawsuits brought against Purdue have brought increased scrutiny on its operations and the family behind it, the Sacklers, who have amassed a fortune of $13 billion according to Bloomberg. The company is accused of pushing doctors to prescribe OxyContin while simultaneously promoting an effort that misled the public about the medication’s addictive qualities. In a profile of the Sacklers published by The New Yorker in 2017, Patrick Radden Keefe detailed how the family built its wealth. Much of rest of the family has gained wealth from the medicine. 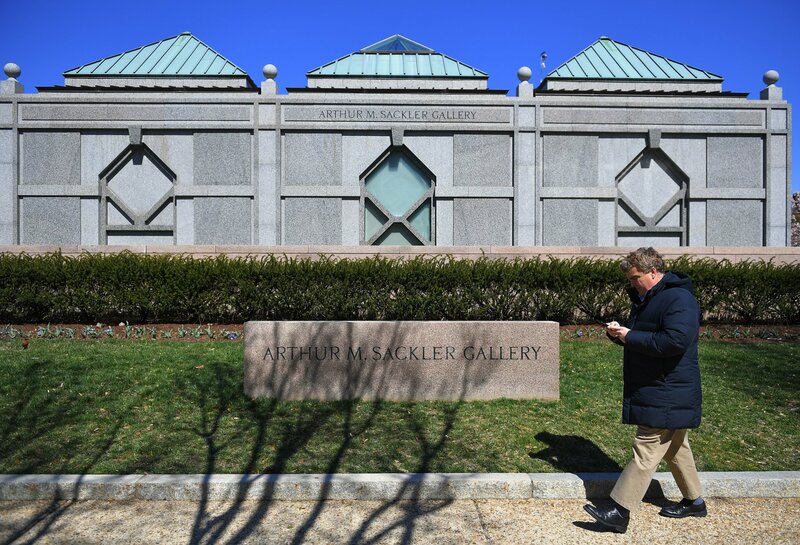 Last year, The Guardian reported that many Sackler family members were on the board of the company. Three of Mortimer’s children were board members of Purdue. Two of Raymond’s children, Jonathan and Richard Sackler, and David Sackler, Raymond’s grandson, was also listed as being on the board. The intense focus on the Sacklers, its philanthropic donations and the way the family built its fortune has also centered attention onto the philanthropy of wealthy families in the U.S. Critics have previously questioned the philanthropic spending of billionaires, regarding it as a reputation boost that can be used to distract public attention from any potential unethical practices that led to their wealth. Andrew Kolodny, the co-director of the Opioid Policy Research Collaborative, framed the Sacklers’ philanthropic efforts as “reputation laundering” while speaking with BBC News. The Sacklers family has long enmeshed itself in philanthropic spending; the New Yorker article noted that the family gave The Metropolitan Museum of Art in Manhattan $3.5 million in 1974. The Sackler Wing of the Metropolitan Museum of Art bears the name of the family, as does a gallery at The Smithsonian. Amid the negative public attention, the recipients of the Sacklers’ philanthropy have recently distanced the family. Earlier this month, London’s National Portrait Gallery rejected a donation from the family, according to ABC News. The Guggenheim Museum and Tate Galleries also said earlier this month that they would no longer accept gifts from the Sacklers. On Monday, the Sackler Trust said that “the current press attention that these legal cases in the United States is generating has created immense pressure on the scientific, medical, educational and arts institutions here in the UK,” The New York Times reported. Newsweek reached out to Public Citizen for comment on how philanthropic donations can affect public perception of families like the Sacklers but did not immediately receive a response.